OSCAR EMMANUEL PETERSON, C.C., C.Q., O.Ont. It gives me great pleasure to present this Folio of Al Gilbert’s portraits of my late husband, Dr. Oscar E. Peterson, C.C. During the course of nearly fifty years Mr. Gilbert took some wonderful photographs, capturing Oscar at various stages in his life and career. When Mr. Gilbert showed me the photos he intended to print for this special Folio I was immediately deeply moved. How wonderful it is to see the portraits and remember – Oscar’s smile, his graceful hands, his absolute ease at the piano and the joy he radiated always. This special, limited edition set of eight of those portraits is a treasure in many ways. 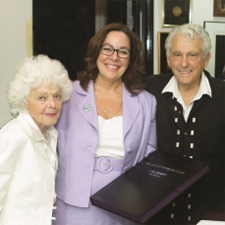 It is a testament to the memory of Oscar Peterson and his legacy. 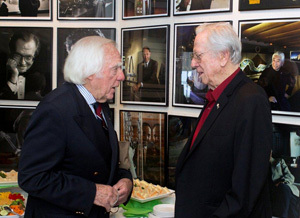 It is a testament to the legacy of one of Canada’s finest photographic artists, Mr. Al Gilbert. It is also a testament to historical film processing, as these archival prints will long outlast us, preserving these legacies for future generations. I am so pleased that Mr. Gilbert chose to produce this fine Folio. It is my hope that collectors and admirers of both artists will cherish this collection, as I will. 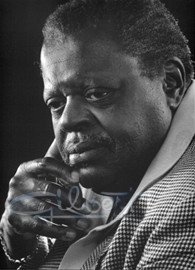 Al Gilbert’s revealing portraits of his friend Oscar Peterson are preserved here for all who love Oscar’s music and admire the outstanding contribution he has made to Canadian life. Mr. Gilbert, now 88, personally supervised the making of these prints and signed each one. 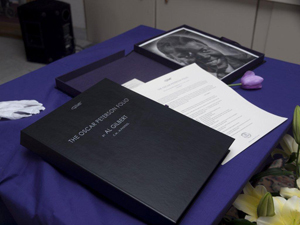 The Oscar Peterson Folio consists of eight, 11” x 14” photographic prints in archival sleeves and a custom archival box. Portraits numbered 1-7 are black & white prints and number 8 is a colour photographic print. The best archival paper and gelatin-silver, selenium-toned processing or photographic printing were used to preserve the images for posterity. ILFORD Multigrade IV FB Fiber: premium quality, variable contrast black and white paper on a double weight 255g/m2 fibre base. This Limited Edition of 33 folios is from the original negatives and files. Portraits by Al Gilbert, C.M. are classified as being of “cultural significance and importance” by the Canadian Cultural Property Export Review Board. They are for your personal use and enjoyment only; reproduction is strictly prohibited. 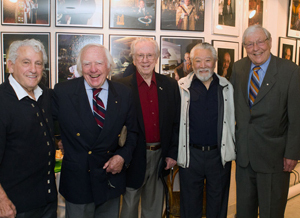 (l-r) Members of the Order of Canada and the Order of Ontario shared their appreciation for the late Oscar Peterson, C.C., C.Q., O.Ont. with guests at the portrait exhibition. Gathered for the occasion: Al Gilbert, C.M., F.R.P.S., Peter Appleyard, O.C., Phil Nimmons, O.C., O.Ont, Raymond Moriyama, C.C., O.Ont., and the Hon. Roy McMurty, O.C., O.Ont. 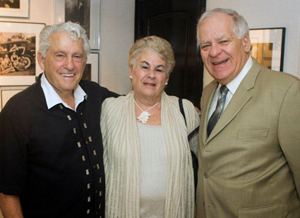 (l-r) Gail Gilbert, Kelly Peterson & Al Gilbert, C.M., F.R.P.S. (l-r) Peter Appleyard vibraphonist and Phil Nimmons clarinetist share high praise and fond memories of Oscar. 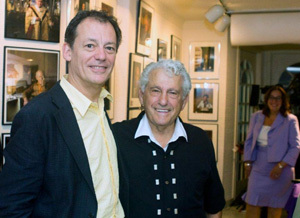 Flavio Belli, Chair of the Board of the Toronto Outdoor Art Exhibition and Member of the Canadian Cultural Property Export Review Board with Al. Our Facets of FAME exhibition has been widely praised in the media, see the coverage here, and by numerous visitors from Toronto and around the world. Recent nominees for the Gilbert Archives include: Peter C.Newman, Dr Charles Tator, Medhat Mahdy, Hon. Justice Dennis O'Connor and Senator Pamela Wallin.